Garage Innovations Inc. is the complete solution for your garage organization needs - Custom designed garage cabinets, shelving, epoxy floors, and more. Schedule a FREE in-home estimate throughout Southern California today! We provide a free, in-home estimate with detailed pricing and our Lowest Price Guarantee*. We create a 3D rendering of your new garage for your approval. We custom build your new garage storage in our 11,000 sq ft facility. Our friendly team installs your perfect garage exactly to specification. Our customers never pay deposits. You only pay once the job is complete. 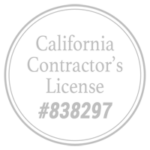 Garage Innovations has provided custom designed and manufactured garage storage solutions in Los Angeles, Orange, Riverside, and San Diego Counties since 1999. We provide a complete garage organization service from custom, 3D drawings of your garage, to the custom building of your cabinets in our 11,000 square foot facility, and then the installation of your new storage to your exact specifications. We bring the showroom to you. Let one of our designers come to your home and give you a FREE in home estimate on the spot with our Lowest Price Guarantee*. They will custom design a solution for your storage needs with our design program while you wait. Our custom design services allows you to create the look and feel that matches your home.